Based on the data between 2010 and 2012, it is suggested that at some point during their lifetime approximately 39.6 per cent of women and men will be diagnosed with cancer. In India, it is estimated that 14.5 lakh people are living with the disease, with over 7 lakh new cases being registered every year and 5,56,400 deaths which are said to be cancer related. 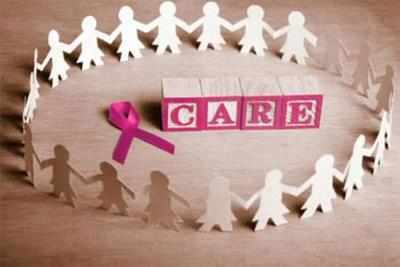 An estimated 71 per cent of all cancer related deaths are occurring in the age group between 30 to 69 years. While lung, colorectal, pharynx, stomach, head and neck, and liver were the five most common sites of cancer diagnosed among men in 2012; for the same period, the five common sites of cancer diagnosed among women were breast, ovary, lip and oral cavity, lung and cervix. Tobacco use is linked to around 20 per cent of global cancer deaths and 70 per cent of global lung cancer.Lung cancer is one of the commonest cancers, accounting for 13 per cent of all new cancer cases and 19 per cent of cancer related deaths worldwide. The increasing prevalence of smoking has resulted in lung cancerreaching epidemic proportions in India, where an estimated 2,500 deaths every day can be linked to tobacco related diseases. In 2010, smoking accounted for an estimated 9,30,000 deaths; 1 in 5 deaths among men and 1 in 20 among women. The National Cancer Registry puts breast cancer as the most common and cervical cancer as the second most common cancer in women in India. Although the Indian Council of Medical Research reports suggest that cancer of the cervix has become the third most common cancer after breast and lung cancer. It is estimated that for every two women newly diagnosed with breast cancer one dies, while every 8 minutes one woman dies of cervical cancer.